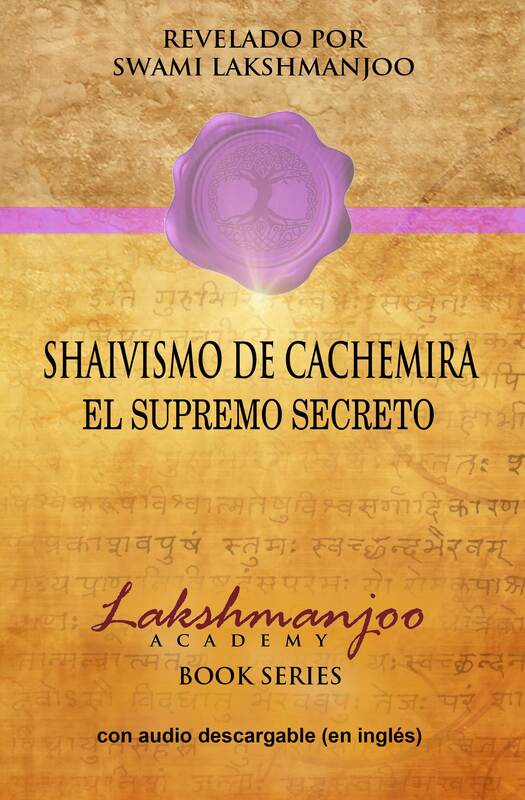 We are happy to announce the publication and release of the first Spanish edition of Swami Lakshmanjoo’s seminal work Kashmir Shaivism, The Secret Supreme, as translated by Federico Oliveri. 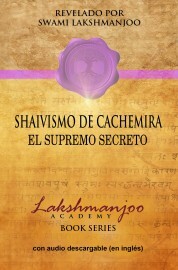 Estamos muy felices de anunciar el lanzamiento de la primera edición en español de la trascendental obra de Swami Lakshmanjoo "Shaivismo de Cachemira, el Supremo secreto", traducida por Federico Oliveri. In Kashmir Shaivism: The Secret Supreme, Swami Lakshmanjoo presents a systematic unfolding of the Tantric teachings of the ancient tradition of Kashmir Shaivism. He begins this monumental task by unfolding and guiding the reader through the labyrinth of monistic teachings of this profound tradition. This tradition, long enshrouded in secrecy, is so rich and detailed in its descriptions of what it reveals as the ascent of individual consciousness to universal God Consciousness that it has been characterized as a ‘mystical geography of awareness’. Throughout he emphasizes the importance of practically realizing the reality of these teachings. The material is neatly divided into nineteen chapters; the presentation is both systematic and cumulative in a style which is clear, concise, and compact. The chapters which comprise this book are derived from the audio recordings of the lectures given in 1971 to John and Denise Hughes by Swami Lakshmanjoo in answer to their request to be taught Kashmir Shaivism. These teachings are based on Swami Lakshmanjoo's years of study and practical experience, as well as the Kashmir Shaivite oral tradition and its sacred scriptures. Los capítulos que componen este libro provienen de las grabaciones de audio de las clases dadas en 1971 por Swami Lakshmanjoo a John y Denise Hughes, en respuesta a su solicitud de que les enseñara Shaivismo de Cachemira. Estas enseñanzas se basan en los años de estudio y experiencia práctica de Swami Lakshmanjoo, así como en la tradición oral y las sagradas escrituras del Shaivismo Cachemir.